MET Institute of Mass Media believes in providing training on the latest equipment, making the students industry ready. 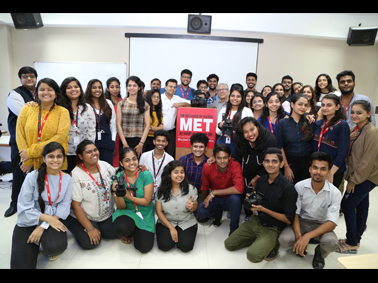 MET IMM, in association with Canon India conducted a workshop for the students of Post Graduate Diploma in Advertising, Entertainment, Journalism and Digital Marketing. The workshop was conducted with an aim of introducing students to different cameras and their systems. It provided the PG in Mass Media students with an in-depth technical knowledge of the workings of the latest cameras. 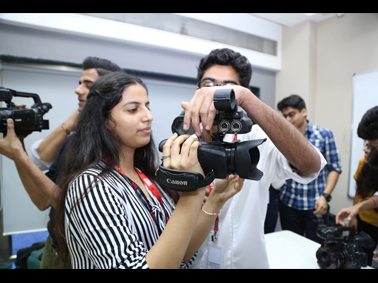 Some the Canon models that the students got hands-on experience were: XA 11- ProDV, XC – 15 – ProDV, C100 MKII – Cinema, C300MKII – Cinema and Cine Prime lenses and Zoom lenses. Indeed sharp focus gives students an edge.